Personal super contributions are made using after-tax dollars, such as when you transfer funds from your bank account into your super. This money could come from savings, an inheritance, or from the proceeds of the sale of an asset, for example. From 1 July 2017, the “less than 10% rule” was abolished. As a result of this change, if you make a personal super contribution, you can now claim a personal tax deduction for the amount of the contribution in your tax return. This will result in a reduction in your taxable income and, therefore, in your personal income tax liability for the relevant year. Because personal contributions to your super fund (which you claim a tax deduction for) will only be taxed at 15%, this produces broadly the same tax benefit offered by salary sacrificing from before-tax dollars into your super. This change is of particular benefit to you if your employer doesn’t offer you the option to salary sacrifice, or if you receive a windfall (such as a bonus), or a one-off capital gain (such as through the sale of an investment), that you’d otherwise pay tax on at your full marginal rate. The Association of Superannuation Funds of Australia (ASFA) estimates that the rule change means an additional 850,000 people will be able to claim a tax deduction for personal contributions made to their superi. 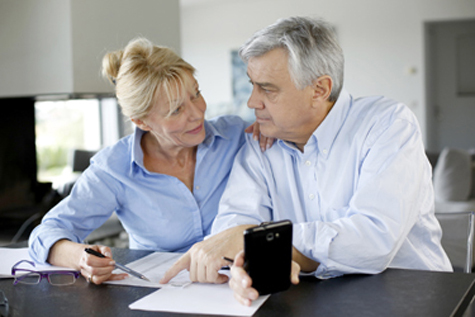 But while there can be a tax benefit to making a personal tax-deductible contribution to your super, it’s worth remembering that you’re then generally not able to access the money you put into your super until your retirement. What do I need to do to benefit? Lodge a notice of intent to claim or vary a deduction for personal super contributions formii with your super fund, which your super fund will acknowledge, in writing. Following the end of the financial year and using the written acknowledgement from your super fund, which will confirm both your intention to claim a tax deduction and the amount you can claim, prepare and lodge your tax return. If you’re claiming a tax deduction for a personal super contribution, the contribution will count towards your before-tax (concessional) contributions cap of $25,000. The super guarantee contributions your employer makes on your behalf, and any salary sacrifice contributions you may have made, also count towards this cap. To ensure your ability to claim a tax deduction is not affected, you shouldn’t make any withdrawals or start drawing a pension from your super before your ‘notice of intention’ form has been lodged with your super fund. Personal super contributions that you claim a tax deduction for will not be eligible for a super co-contribution. If you earn more than $250,000 your concessional super contributions will be taxed at 30% (as opposed to 15%). Speak to us to determine whether claiming a tax deduction on personal super contributions is the best strategy for your circumstances. i ASFA, New super rules to benefit more than four million Australians, 2017, paragraph 7.